When the Washington Capitals hit the ice last night in Raleigh, NC for a matchup with the Carolina Hurricanes, they had just 10 wins on the season to show for. A 10-14-1 record through 25 games was disturbing enough to trigger once again, negative reaction from media members and fans across hockey nation. Rightfully so, considering recently lost points were strengthening their disconnect from the 8th and final post-season position in the Eastern Conference. The Capitals were looking to secure two out of the possible four points in the final game of a home and home series against the Carolina Hurricanes. 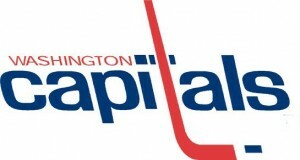 With a 4-0 loss to Carolina on Tuesday, it wasn’t an option for the Capitals to fall flat and sacrifice crucial points. It wasn’t one of those 60 minute hockey games that the red shirts can show up 30 minutes after the opening face-off. This was a hockey game, that the Capitals had to win. This was a hockey game that the Capitals had no other choice, but to lay everything on the line for Adam Oates and his staff, and grab two valuable points with only 22 games remaining on the schedule. Quickly to the action at PNC Arena, where the Hurricanes were looking to solidify their first place position in the Southeast Division. They managed to get on the board fairly quickly and there is no doubt in my mind, it left Capitals players cringing on the bench. Former Capitals Alexander Semin lit the lamp just 1:14 into action for his eighth tally of the season. The first period would get much tougher for the Capitals, as Hurricanes forward Patrick Dwyer found the back of the net for his sixth goal of the season, leaving the Capitals once again searching for answers down 2-0. With 40 minutes of hockey remaining though in regulation time, the Capitals pulled off the unthinkable by scoring three unanswered goals and securing a 3-2 victory. Forwards Joey Crabb (2), Alex Ovechkin (10) and Mike Ribeiro (10), had something to say about being down 2-0, and it paid off in a huge way for the Capitals. A come from behind victory, a goal from their captain, 36 saves for Michal Neuvirth who appeared in just his second game since February 7th. The Capitals are 11-14-1, in 12th place in the Eastern Conference and seven points back from the eighth and final playoff spot, with 22 games remaining. Next up, a trip to Boston for a 1pm matchup against the Bruins, tomorrow.